1. Add a couple tablespoons of cream cheese into my morning scrambled egg/omelette mixture instead of milk or cream. Blend the above together with hand-held blender for an easy quick sweetener-free dessert or snack. My kids took this to school today as their morning tea topped with a mountain of organic berries (see picture). Process the above in a food processor (you don't need an ice-cream maker!) 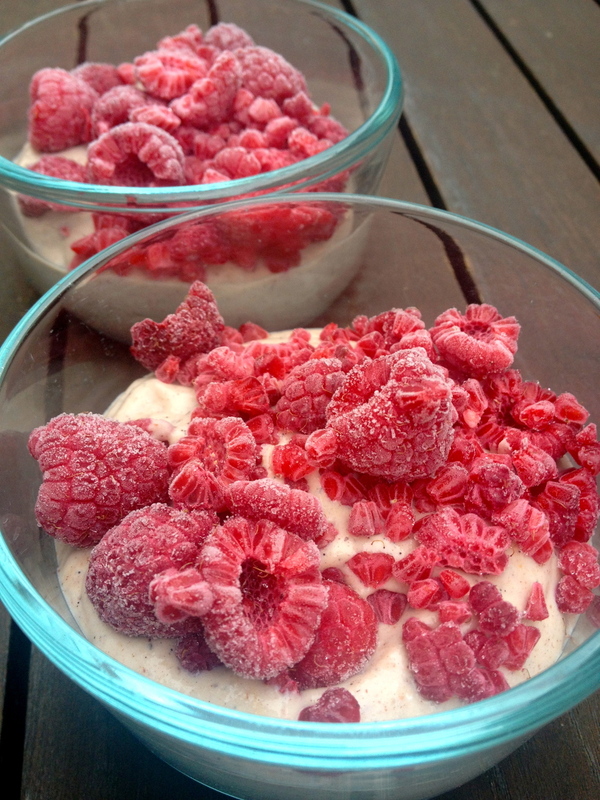 until well blended then pour into small glass containers or ice-block moulds and freeze. Leave on bench for 10-15 mins to soften before serving. 4. smear cream-cheese onto raw veggies (e.g. 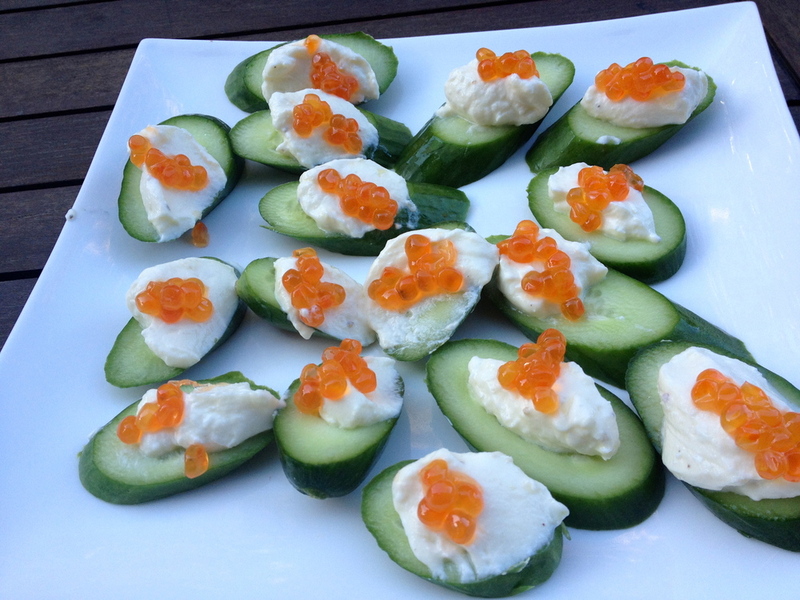 sliced cucumber) and (if desired) top with wild salmon roe (from The Canadian Way) for a simple snack or pre-dinner appetiser. You could also do this with home-made goats curd. Enjoy!